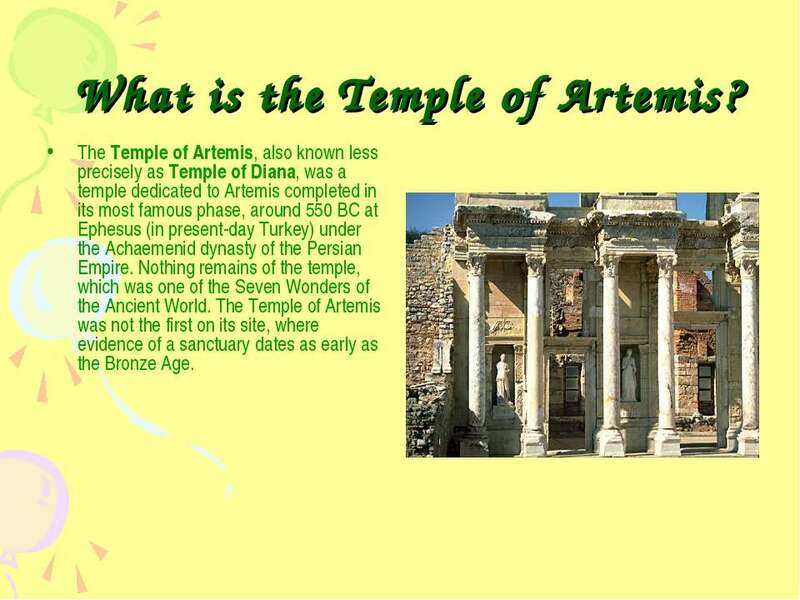 What is the Temple of Artemis? 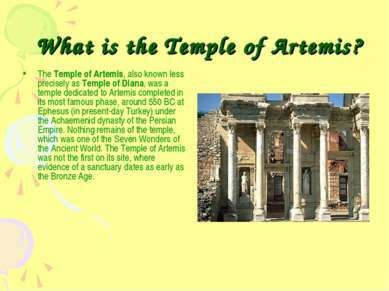 The Temple of Artemis, also known less precisely as Temple of Diana, was a temple dedicated to Artemis completed in its most famous phase, around 550 BC at Ephesus (in present-day Turkey) under the Achaemenid dynasty of the Persian Empire. 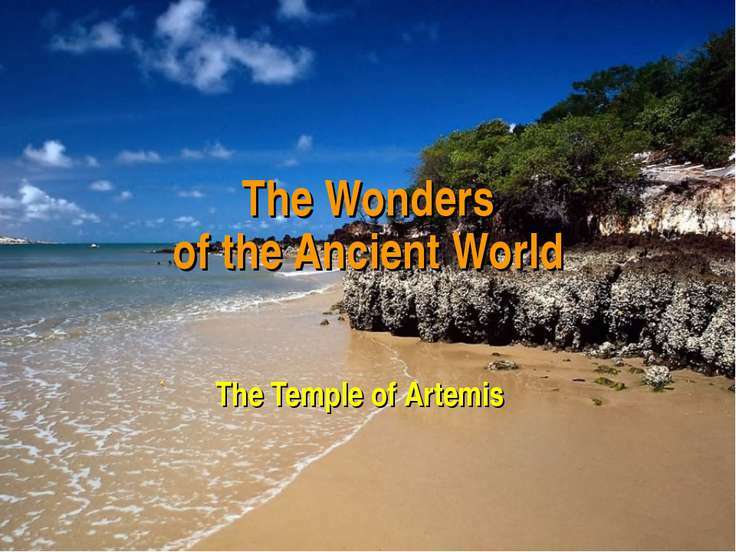 Nothing remains of the temple, which was one of the Seven Wonders of the Ancient World. The Temple of Artemis was not the first on its site, where evidence of a sanctuary dates as early as the Bronze Age. 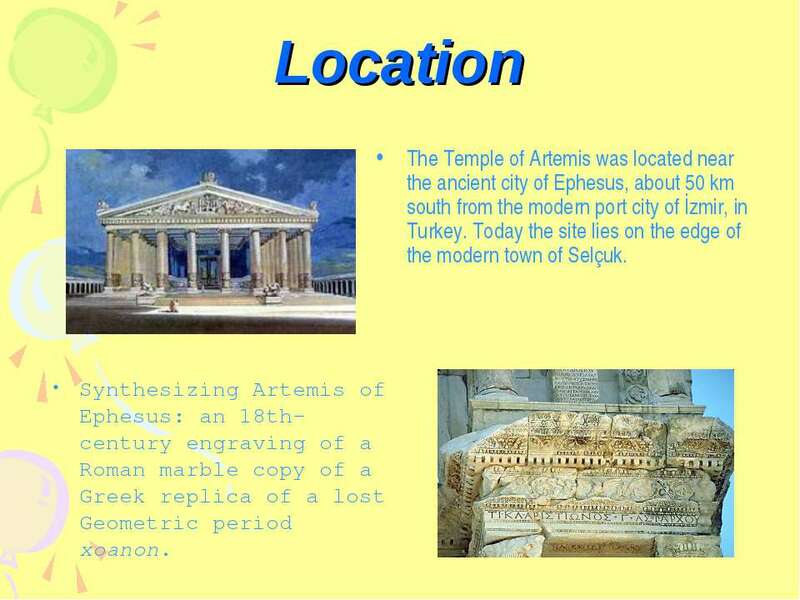 Location The Temple of Artemis was located near the ancient city of Ephesus, about 50 km south from the modern port city of İzmir, in Turkey. 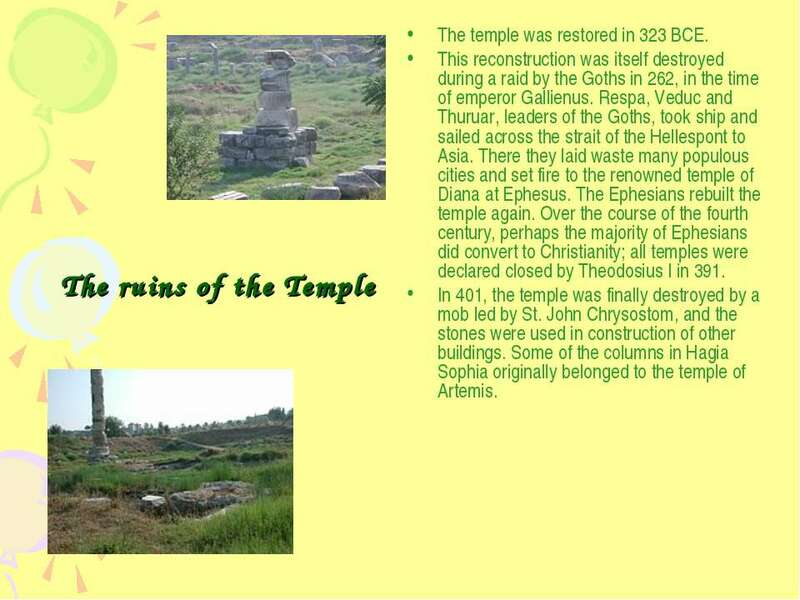 Today the site lies on the edge of the modern town of Selçuk. 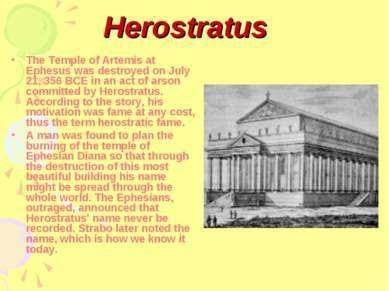 Synthesizing Artemis of Ephesus: an 18th-century engraving of a Roman marble copy of a Greek replica of a lost Geometric period xoanon. 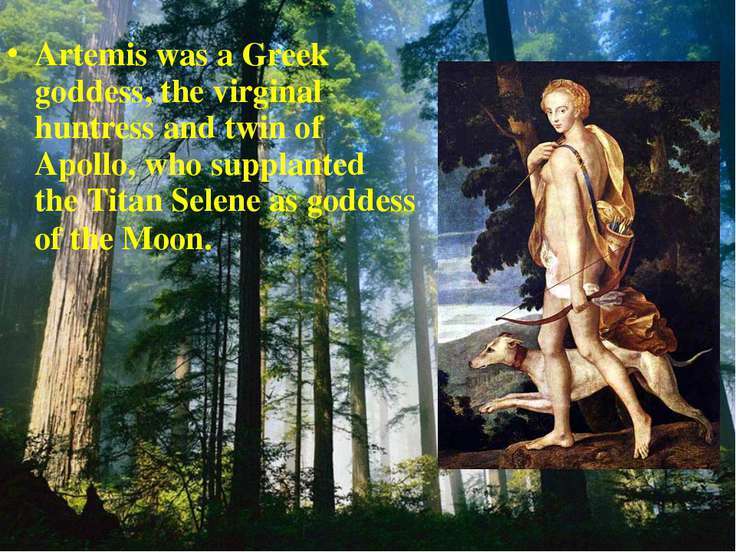 Artemis was a Greek goddess, the virginal huntress and twin of Apollo, who supplanted the Titan Selene as goddess of the Moon. 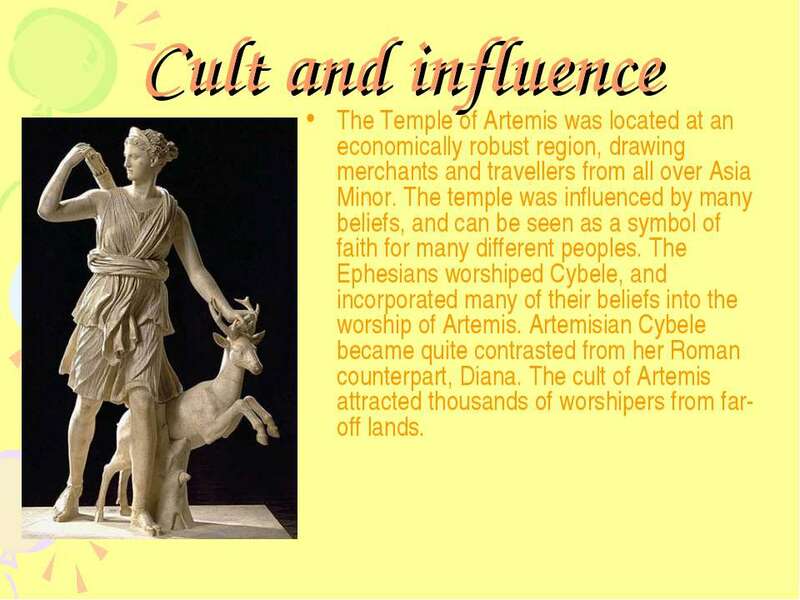 Cult and influence The Temple of Artemis was located at an economically robust region, drawing merchants and travellers from all over Asia Minor. The temple was influenced by many beliefs, and can be seen as a symbol of faith for many different peoples. The Ephesians worshiped Cybele, and incorporated many of their beliefs into the worship of Artemis. Artemisian Cybele became quite contrasted from her Roman counterpart, Diana. The cult of Artemis attracted thousands of worshipers from far-off lands. Architecture and art Most of the physical description and art within the Temple of Artemis comes from Pliny, though there are different accounts, and the actual size varies. Pliny describes the temple as 377 feet (115 meters) long and 180 feet (55 meters) wide, made almost entirely of marble, making its area about three times as large as the Parthenon. 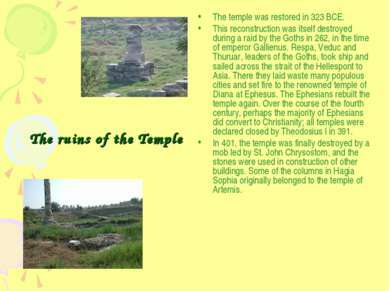 The temple's cella was enclosed in colonnades of 127 Ionic columns, each 18 meters (60 feet) in height. 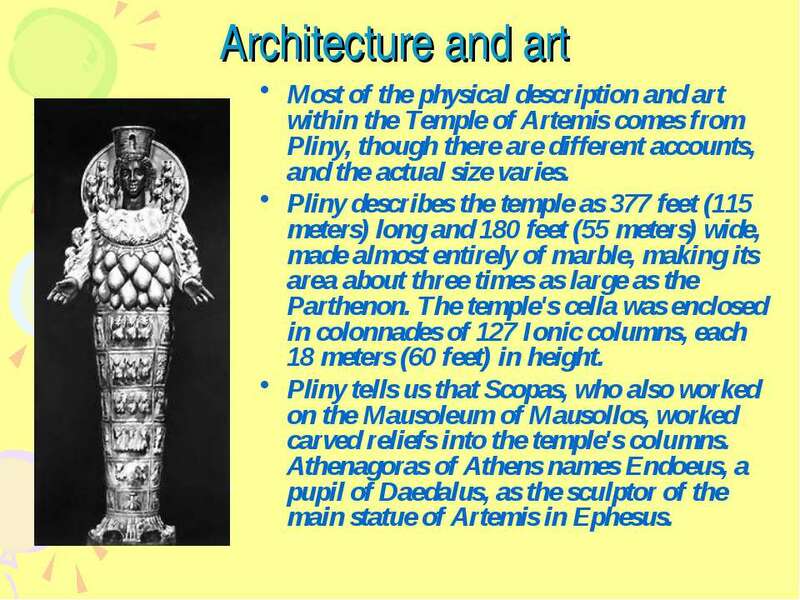 Pliny tells us that Scopas, who also worked on the Mausoleum of Mausollos, worked carved reliefs into the temple's columns. Athenagoras of Athens names Endoeus, a pupil of Daedalus, as the sculptor of the main statue of Artemis in Ephesus. Rediscovery After sixty years of patient searching, the site of the temple was rediscovered in 1869 by an expedition sponsored by the British Museum led by John Turtle Wood;excavations continued until 1879. 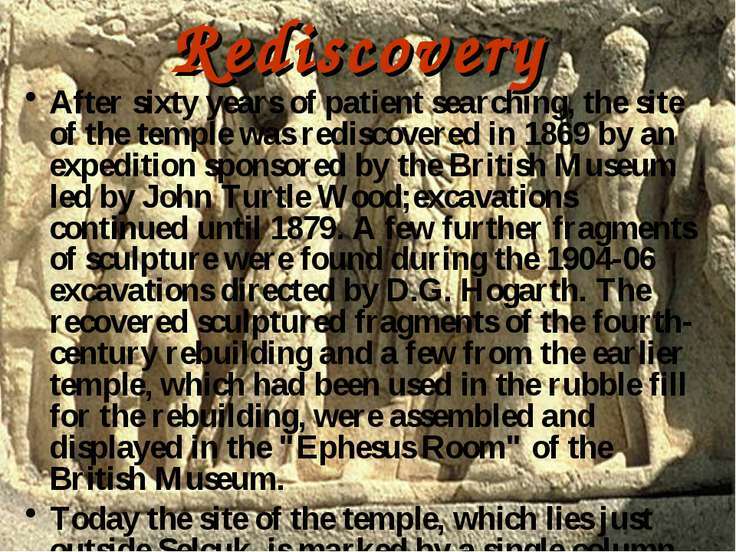 A few further fragments of sculpture were found during the 1904-06 excavations directed by D.G. Hogarth. 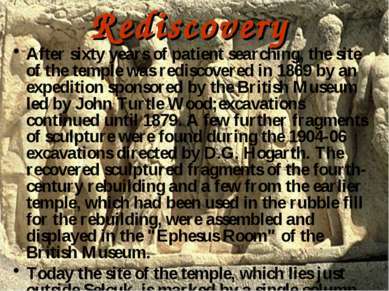 The recovered sculptured fragments of the fourth-century rebuilding and a few from the earlier temple, which had been used in the rubble fill for the rebuilding, were assembled and displayed in the "Ephesus Room" of the British Museum. Today the site of the temple, which lies just outside Selçuk, is marked by a single column constructed of dissociated fragments discovered on the site.